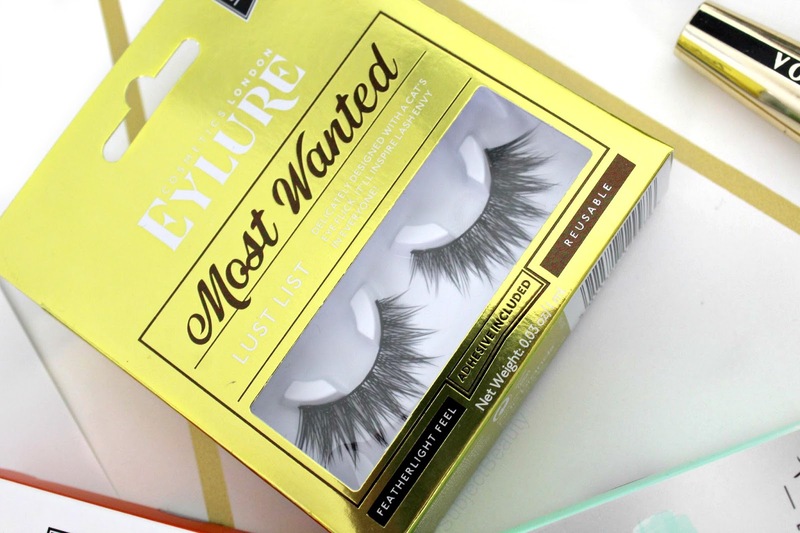 I have always been a fan of Eylure lashes, I think they were the first brand I purchased eyelashes from and that's going back a loooong time ago. 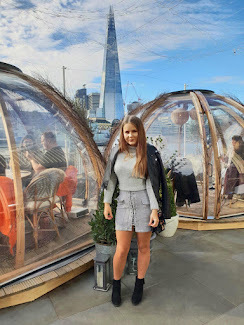 I use to wear eyelashes everyday for years, I wouldn't have been seen in public without them but I've since calmed down a bit and only really wear them for special occasions or if I feel like putting in a bit more effort for a day/night out. I think they can really pull together any makeup look or no makeup at all which is why it's great there are so many styles out there on the market, there's a pair for everyone! 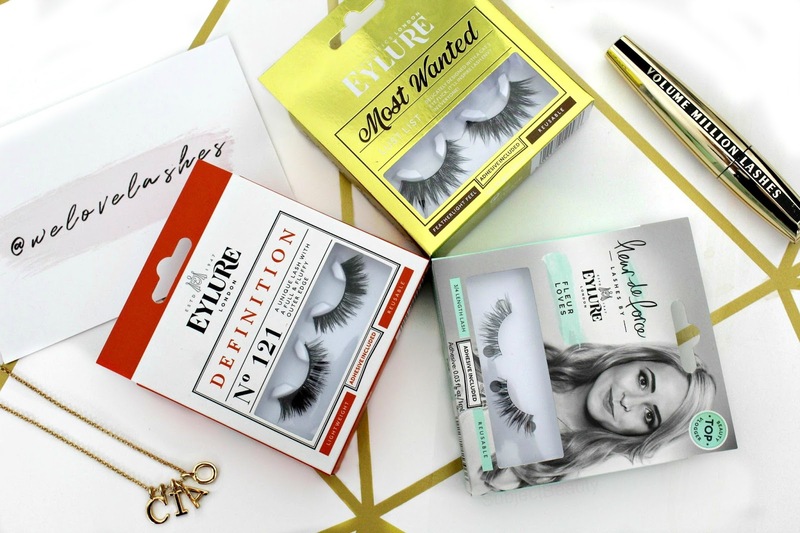 I was recently very kindly sent a few pairs of lashes to test out and review by www.falseeyelashes.co.uk and on first impressions they all looked so lovely in their packaging, I didn't really want to get them out but I put them back in after wearing them to use again at a later date. I normally use mine a few times before throwing them away and don't forget to trim them down to your size, so they fit perfectly. I have quite small eyes so I have to do this 90% of the time but in some cases you might not have too. 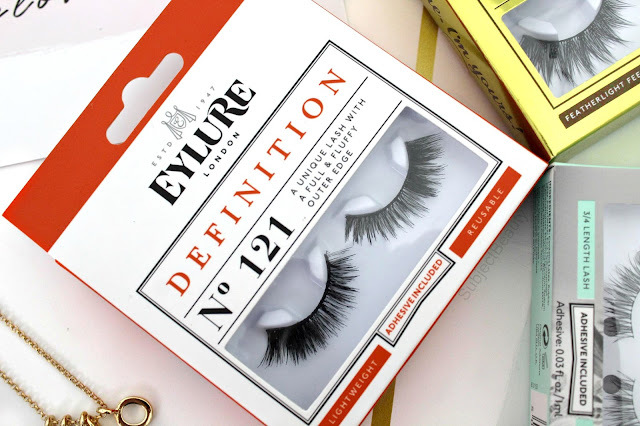 The first pair I picked were Eylure Definition No 121 lashes I picked these as they looked very fluttery and fluffy, perfect for any occasion. 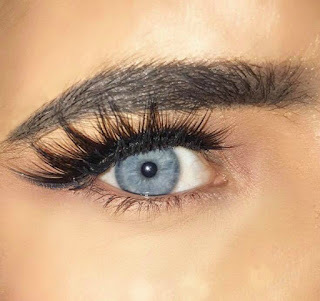 I've never seen or have failed to notice lashes like this before, they are fuller on the outer edge which I think is amazing and they look amazing on also. I wore these out to for dinner with my boyfriend and they are super comfy on I forgot they were even there! You could wear these anywhere, you can't really go wrong with a pair like these. The second pair I picked were the Eylure Fleur De Force Fleur Loves Lashes. I was really drawn to these as they are 3/4 lashes and I've never owned any lashes that were any other size than regular but I had hopes these would make my eyelashes appear fuller but also look natural for daily wear and they are the perfect pair exactly for that. I really like how they only make the outer eyelashes appear fuller, they don't drastically change your appearance when you put them on as they are really subtle but you can really tell the difference with and without, they looked like my lashes but better. They were super easy to apply too, I'm very pleased with these ones, what a great find for the little eyed beauties! Last but not these are these extravagant lashes Eylure Most Wanted Lust List I picked these because they looked so pretty in the box I needed to try them out, they are very eye catching (pardon the pun). These were the pair I was most excited to try on out of the three because these were really out of my comfort zone but I really wanted to experiment. I was deeply disappointed because the length of the lashes were far too long for my eyes yet I think they would look super pretty on someone with bigger,wider eyes. 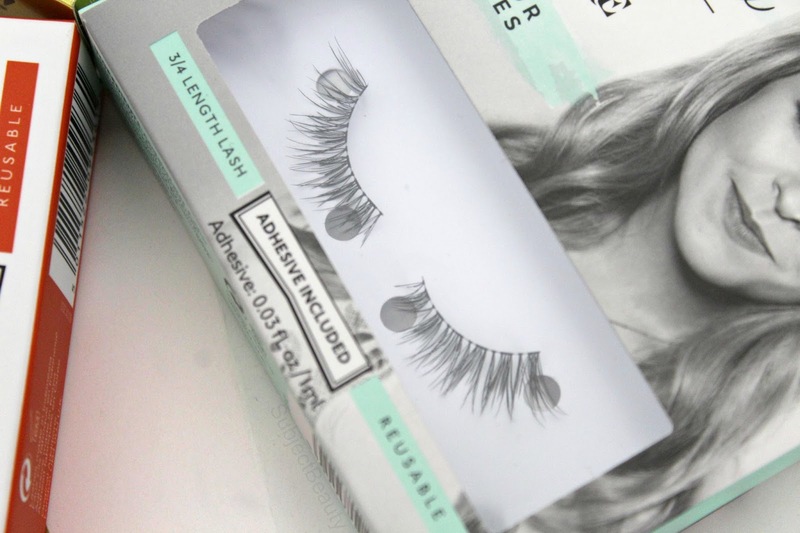 I would definitely recommend these to someone who's going on a night out, they are such a statement pair of lashes and they are so flattering on the eye and super comfy on, it's just such a shame they are too long for me! Here's what I mean by the lashes being too long for my eyes yet they are still very flattering! Like I said in the beginning of this post I've always been a fan of eyelure lashes and have not yet been let down by the quality and range of styles they provide. I do wish they would bring out a range for people with tiny eyes like me so I wouldn't have to trim them down ALL the time but it's not really much of an effort, I'm just being lazy! Eye, Shall See You Soon! I love a good pun! ;-) Funnily enough, I've only just recently got into lashes after I had my make-up done professionally. I'm definitely going to try Elyure given how highly you speak of them! The eye puns have cracked me up!